Kishtwar Campus, University of Jammu started M.sc programme in Information technology from the Session 2010-11. There is a Administrative Block and a Faculty Rooms. The distance of Kishtwar from Jammu is 230 kms. The Campus is located near Degree College Kishtwar. Kishtwar is bounded on the north by Kashmir and Zanskar Valleys, on the south by Bhaderwah and Doda, on the east by Himachal Pradesh and on the west by Anantnag and Ramban Districts. Kishtwar district branches off in four valleys of Marwa, Warwan, Padder and Chatru with their terminal at Kishtwar town. The Gateway to Dachhan is Ekhala and Hanzel to Marwa Warwan Valley whereas Lidrari is Gateway to Padder valley and Dadpath Chatru Valley. The classrooms are equipped with multimedia and audio-visual equipment to facilitate effective learning. 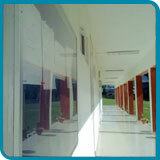 They are designed to promote maximum interaction between the faculty and the students. There are four Teaching Rooms equipped with the latest facilities. Computing facilities for the students include 3 labs with almost All computers connected to the centralized servers with Wi-Fi Internet. There are Two Computing Labs For Geology Department and One for M.Sc IT Department. Every workplace on the campus, including faculty rooms, offices, computer labs, library and administrative offices, has network connectivity. The library includes large number of books, national and international periodicals in addition to the project reports. The center aims to facilitate production & dissemination of knowledge, information, insights & intellectual contribution in all areas of education among the academic and business community. The library resource center is fully automated and for this we have specialized user-friendly library software . The center has adopted latest information technologies like CD, DVD, Multimedia Kits, Text and Graphic Scanners. The user community has access to the entire collection through CD, DVD, Hard Disk.. The Campus has resident-hall facilities for boys and girls separately. Both the halls are located on the campus. The resident rooms are spacious and well-furnished. The students are required to have their own computers in their rooms. They also have sports and other recreational facilities. Residents are expected to adhere to a set of rules and regulations. There is mess Facility in both the Residencial Hostels. There is a Faculty House for the Faculty of the campus as most of the faculty of the Campus is from far off places. The basic and the necessary facilities in the building have been provided. Kishtwar Campus, University of Jammu acquired a building for the facility of the faculty, in which more of the members can be accommodated. There is a Guest house to provide accommodation to the Guests from the main campus including the Guest faculty for the courses run by the campus. It not only provides accommodation to the visiting faculty and examiners of Kishtwar Campus but also to the Guests of various Faculty members and students at very nominal charges. Kishtwar Campus, University of jammu also provided the Play ground facility to the students for Outdoor Games. There is a Volley-Ball Court for The students of the Campus to Enhance the physical activities.